On the 9th floor. I wave to Chris Nicely, who may be here for Gargiulo or another case hearing. DDA Marguerite Rizzo arrives on the floor. She greets a suited man sitting on one of the benches. DDA Rizzo is co-prosecutor on the Joshua Woodward case and on the Lonnie Franklin, Jr., aka "The Grim Sleeper" trial. The Franklin trial is scheduled to start in early September. I see DDA’a Akemon and Garrett Dameron in the center of the hallway. They are chatting with Chris Nicely. Defense attorney Janet Levine arrives on the 9th floor. There is a hearing in Dept. 103 for the Joshua Woodward case. Levine is Woodward's lead defense attorney. Her cross examination of the prosecution witnesses in the prelim was stellar work. I don’t see where DDA Akemon and Dameron went. They must have dropped in on another courtroom. People Magazine investigative reporter, Christine Pelisek is here. She checks on the Marsden hearing with the court. It’s finished and Lindner is still the attorney of record. Inside Dept. 108. DDA Akemon and DDA Dameron are in the well. Judge Ohta asks the bailiff to get Mr. Gargiulo. DDA Dameron informs the court that Mr. Lindner hasn’t arrived yet. Judge Ohta appears to pause. Defense attorney Charles Lindner arrives with his son Abe Lindner, who is also his paralegal. Mr. Lindner asks Judge Ohta how his day is going. Lindner and Judge Ohta chat basketball. The team “Caviller’s” is mentioned. Over on the clerk’s counter, the tin of Red Vines is full. DDA Akemon and Abe Lindner chat. Then Abe and DDA Dameron shake hands and chat. Charles Lindner continues to chat with Judge Ohta a bit before moving his wheelchair over to DDA Akemon. The bailiff sets up the chairs at the defense table. Now the bailiff brings out Gargiulo. Gargiulo has a few papers with him. The court goes on the record and the parties state their appearances. The court informs counsel the Marsden was denied. The issue now is pretrial and the 995 motion. The prosecution states they are still working on their response. Judge Ohta clarifies with the people, “You did not put on the prelim?” Lindner informs the court, “That was four generations of DA’s ago. The prosecution states they will have a reply ready in another month. There are several motions by the defense that need to be filed. Gargiulo tells the court, “I object to that decision. That is not necessary.” The court replies, “It is necessary.” Gargiulo is taken back into custody. DDA Akemon and Lindner make a request to the court. They ask if they can go back into the jury room to chat privately. The judge gives the okay. Judge Ohta then calls his second case, continued from June 9. It’s the problem defendant who wanted a Faretta hearing. It appears this defendant may have changed his mind about that. They need to hash out further scheduling for the case. We wait for the other case. The defendant is brought out. He is put in a chair right next to the bailiff’s desk. There are two women sitting in the gallery right behind that chair next to the bailiff. The defendant is allowed to speak to these two women. He appears happy to see them. Counsel come out of the jury room. Lindner asks the court if his investigator [Chris Nicely] and paralegal [Abe Lindner] can come back with him into the custody area to speak to Gargiulo. Judge Ohta is fine with that. They all go back into the custody area to speak to Gargiulo. Inside the courtroom, the bailiff is sitting in a chair right across from the defendant who is still chatting with the two women in the gallery. Christine Pelesik and I chat with the bailiff as to what the custody area looks like. I wonder if there are several cells back there. The bailiff informs us there is a single cell and there is a room where defendants can speak privately with their attorneys. We learn that the deputies cannot just put any two defendant’s in the holding area together. It’s not the color of jumpsuit that determines who can be put together. They have to go by what the wristband says. All defendants have a wristband on them 24/7. Apparently, this wrist band tells them about the defendant. For example, they can put several defendant’s in a holding cell together, if they are all classified the same [for example, general population] and all speak the same language. Charles Lindner and Abe exit the jury room with their investigator. I hear Lindner say to Mr. Akemon that they will have to do an evidentiary 402 hearing on the 352 issue. Counsel discuss a return date, possibly five weeks from now. Judge Ohta’s clerk informs counsel that Judge Ohta will not be in Dept. 108 for the months of July and August. It’s my understanding that Judge Ohta has been invited to sit on the California Court of Appeals during that time. DDA Dameron goes over to the Red Vines tin. I believe Lindner throws out a date of the first week in August. Judge Ohta takes the bench, an we are back on the record in People v. Gargiulo. Judge Ohta asks the defense if they had a chance to speak to Mr. Gargiulo. Lindner informs the court that they all spoke to Mr. Gargiulo. Mr. Lindner spoke to him. His paralegal Abe spoke to him. The private investigator spoke to him. All during the conference, Mr. Gargiulo didn’t speak. So Mr. Lindner will need to show the court, how much time he needs before he will be ready for trial. I believe it’s Mr. Lindner who tells the court that the prosecution and defense are on the same page regarding what needs to be done. There are three big motions that need to be litigated before they can get closer to trial. Counsel then lay out for the court what they were discussing in private. The defense met with the DA’s about scheduling. They set out in detail, the next three major motions. They will be complex and may require evidentiary hearings. Mr. Lindner tells the court that they explained to Mr. Gargiulo what they are going to do and why, and why these motions will take longer than 60 days. Lindner states they tried to explain to Mr. Gagriulo it was better to have an attorney totally prepared. Defense counsel states they told Gargiulo that what would happen is, [he would simply be taken back to court to do it again?]. Judge Ohta comments on the amount of discovery that he saw change hands. DDA Akemon informs the court that they just turned over to the defense, pages numbered 29,459 to 29,574. Lindner states [in addition] there is also approximately 50 hours of audio recording. DDA Akemon states that’s a fair estimate of the number of hours of audio. Lindner asks DDA Akemon if they have all the transcripts of the interviews with Gargiulo during the Perkin’s Operation at the Downey jail. The court goes onto explain the problems this latest move by Gargiulo is up against. “I have a death penalty case, similar in scope to this case that will take four months. It starts in September. ... I’m not sure the other case will be ready in September but the parties are trying.” Judge Ohta then addresses counsel. “Realistically, when do you think the case might go to trial?” DDA Akemon responds, “The prosecution is ready.” The question is, when can Mr. Lindner be ready. I believe DDA Akemon tells the court that counsel talked about Lindner possibly being ready in January. Lindner tells the court that 100% of his time is spent on this case and only one other case. 90% of his time is being spent on this case. Lindner thought that in light of the discovery and motions, they could possibly [argued?] mid to late November and the “in limine” motions in December. However, getting a death qualified jury in December is near impossible. Judge Ohta agrees. It’s impossible. Lindner tells the court he could be ready by the first week in January. The motions that have to be litigated are discussed. Judge Ohta asks, “How much time will those require?” Counsel states, at least two weeks. One will require a 402 hearing. The reason Judge Ohta asks, is it could take him some time, to review the motions and be comfortable with the law on the issues. Lindner outlines for the court the motions he plans to file. One motion is to sever the Ashley Ellerin case from the other victims. The defense position is to sever Ellerin because it’s a weak case, underpinned by Bruno and Murphy. Lindner explains his argument in brief. The court will have to review the relevant transcripts before ruling. The second defense motion is 352. Judge Johnson, in the prelim found 1101b [evidence], that common plan, scheme ... identity was linked to Tricia Paccacio. We will be making a motion that this alleged murder .. to bring it into this case as an uncharged act, ... would violate his due process of law. Lindner adds something about this relating to suspects Bruno and Ellerin, because Murphy stands on it’s own. The third motion is a scientific evidence motion. If the court decides Paccacio is to be admitted, then the defense needs the samples sent to their own labs for testing. DDA Akemon informs the court that all evidence on Piccacio is held in Illinois. He [has?] spoken to Illinois about getting the evidence sent here. They need to litigate this 1101b motion before [other motions] because of the time pressure and how long it will take to get that evidence in California for the defense to test. Judge Ohta informs counsel that once he starts his four-month death case [Johnson & Allen] he won’t be doing anything else but that case. He also informs counsel that he is not available in July or August. It’s my understanding that Judge Ohta has been asked to sit on the California Courts of Appeals for two months. The idea would be that after the [Johnson & Allen] case, the court immediately take up the 1101b motion, then handle the other motions. Lindner states he has a number of Kelly Frye motions. Lindner adds, that in respect to Mr. Gargiulo’s statements,[during] the Perkin’s motion. There is a separate issue in Perkin’s, whether the defendant’s statement were voluntary as to his [Sixth?] amendment rights. Lindner will need to reach back to [that?] incarceration and whether it related to coercion. Judge Ohta comments, “Listening to you and seeing that there is no way that all of this can be done in 60 days.” The court asks if all the parties are available on Monday [June 15]. All counsel are available on Monday. The reason Judge Ohta says he says that, is the 1382, relates to a general time waiver, [paragraph 2 sub a]. When the defendant enters a general waiver, they set forth a [continued? conditional?] trial date. If the defendant later withdrawals .... So it requires a proper notice to all parties. Judge Ohat states, “Mr. Gargiulo said this is what he wishes to do.” Lindner asks the court if he can have the weekend to prepare his motion to go beyond the 60 days. Judge Ohta tells Gargiulo that, “... you need to read original law sources and not secondary sources [interpreting the law]. ... In any event, I’m giving you the weekend to think about this ... then we will uptake that matter on that date. .. On that date and move forward from there. Mr. Lindner asks the court if it’s possible for the court reporter to email a copy of [today’s] transcript to the defense and people. Judge Ohta asks the parties to give their email and he will see if she’s able to do that. DDA Akemon brings up to the court the logistics of getting the DNA from Illinois. It could take up to 90 days. He asks if the defense is using an expert, and possibly on Monday, address who the defense expert might be. Gargiulo replies, “I’m not worried about that. 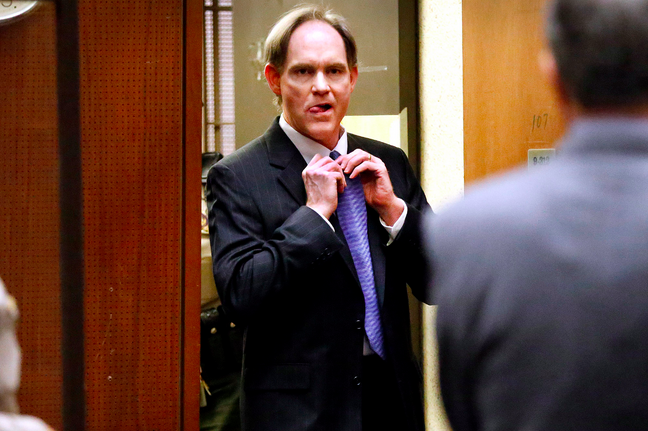 I’ve been ready for trial since the prelim.” He mentions something about the [court system?] playing games. Mr. Lindner tells the court, now that Gargiulo made his request, he is having to work on his 1382 motion and not the case. “He is in effect preventing me from preparing for trial," Lindner explains. I believe DDA Dameron states the 995 motion is less pressing; the 1101b motion is more pressing. And that’s it until June 15.
at Club Med, early 1980's. Sherri Rae Rasmussen was murdered on February 24, 1986. Her murder was finally solved 23 years later with the arrest of LAPD Detective Stephanie Lazarus. Lazarus was convicted of first degree murder in March 2012 and sentenced to 27 years to life. Sherri was Jayne Goldberg's best friend. They met at UCLA Medical Center, when they were both working as nurses there. They were roommates in Sherri's condo for three years. Jayne met her future husband, Michael Goldberg at the hospital. Jayne and Michael's daughter is Mollie Goldberg. At the oral arguments for Lazarus' criminal appeal, Jayne told me that her daughter Mollie was graduating that weekend with a degree in Film & Digital Media. For her senior project, Mollie produced a short film titled The Fifth Stage. Jayne indicated to me the film was about the myth of closure. You can read a short synopsis about the five stages at Grief.com. In the film, Mollie interviews her mother and Nels and Loretta Rasmussen. This is my senior thesis film. For those of you who don't know already, my mom's best friend, Sherri, was murdered in 1986. The case went cold until I was 16 and my mom got a call from an LAPD detective saying they were reopening the case. As I learned more about Sherri, I noticed we shared a middle name, and as the years progressed and her murderer (an LAPD cop) was tried, convicted, and sentenced, I learned more fully what it means to grieve, to feel pain, and to lose someone. And how a person can have such an irreplaceable position in the history of your existence, without you ever knowing them. This film was a way for me to understand the grief my mom and Sherri's parents have felt every day for the last 30 years. Through meditations on certain imagery and reenactments of their memories of grief, I try to place myself within the scope of their loss. The Fifth Stage from Mollie Goldberg on Vimeo. minutes before the guilty verdict was read. I'm on the 9th floor hallway After I've been here for a few minutes, Mr. Laub arrives. There is a juror here from the second trial. He’s one of the one’s who voted for second degree. He wanted to see the end of the case. DDA Craig Hum and LA County Sheriff's Detective Jeff Leslie arrive and I follow them into Dept. 107. DDA Hum and Mr. Laub enter Judge Lomeli's chambers. There are two cameramen here. to film the proceedings. Judge Lomeli’s clerk is busy working at his desk. I note that he’s typing way faster than I ever could. I chat a bit with the juror from the second trial about the differences between the two trials. Counsel comes back from in chambers and Brown is brought out. Brown’s beard has already grown out. He has a beard and mustache. His hair has grown out a bit, too. The camera operators are informed it’s just a continuance. Both cameramen understand it’s not going to be sentencing but just a continuance. They ask to film anyway The camera operators set up their cameras. Brown and Laub chat. Brown is wearing a white long john shirt under his orange jumpsuit. The court calls the case, People v Cameron Brown and appearances are stated for the record. Judge Lomeli states, "This matter is here for sentencing. I hear he is seeking a continuance?" Mr. Laub responds that he's spoken with Mr. Brown and spoken with Mr. Hum. "I need more time to prepare for motion for new trial on behalf of Mr. Brown." The court asks, "Mr. Hum you have victim impact statement for purposes of sentencing?" DDA Hum replies, Certainly. The family is out of the county..." He goes onto state that there possibly will be family that will be flying in from f out of the country. DDA Hum just asks the court that we have a firm date because of all that scheduling. DDA Hum tells the court he has discussed this informally with Mr. Laub about and end of July date. July 30th is selected to hear the motion for new trial and sentencing. The court addresses Mr. Laub and I believe Mr. Brown. The court is worried about, the people are going to fly all these people in, and if Brown is going to have another motion, say a Marsden or some other, that must be handled beforehand. It must be two weeks before the motion for a new trial and sentencing. If we are going to hear motion for new trial on July 30, depending on how the court rules, then the court will continue with sentencing. The court states, that [July 30] is a firm date unless the court hears otherwise. The court then addresses the defendant directly. "Mr. Brown do you agree to put this matter over until July 30 and your motion for new trial will be heard and sentencing on that date?" Brown replies, "Since I’m innocent. I don’t agree to be sentenced." Court explains the law to Brown, and then informs him, "We can proceed with sentencing right now, ... I’m tired as to your games." Do you agree to that date? Brown doesn’t understand about the Marsden. Court explains that a Marsden hearing must happen two weeks before. Laub asks the court for one moment to speak to his client. Afterwards, Mr. Laub tells the court, "We should set a date for a Marsden hearing for two weeks before July 30. Judge Lomeli replies, "We could set it for the 10th. How's that counsel?" I believe Mr. Laub agrees. The July 10 date is fine with Mr. Hum. Judge Lomeli tells Brown he can do it [Marsden] orally, "...but if you want to do write something up, make it precise." Brown is asked again if he agrees to the issues that will happen on July 30. [Motion for new trial and sentencing.] He agrees to the issues on the July 30th. The court states they will be back for the Marsden on July 10. DDA Hum asks, "Is there any purpose for us being here? Lomelli says no. 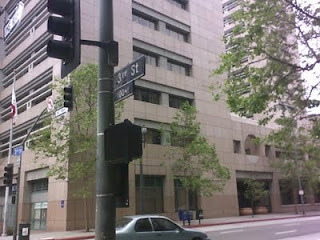 The date, [July 10] depending on what the court does, it doesn’t require the DA's office to be here. The court tells DDA Hum that they will be notified as to the results of the Marsden. Right after Brown is brought back, Patty Brown arrives. She missed the hearing. Back on May 7, 2015, defense attorney Charles Lindner filed his 995 motion. Right after that, Gargiulo stated he wanted to have a Marsden hearing. Judge Ohta informed the defendant that he was in trial right now and could not do the hearing today. He set a date of May 13, for the parties to return. I was in the hallway sitting verdict watch in the Cameron Brown trial. Judge Lomeli ruled that the courtroom was closed during deliberations. I wasn’t allowed in the courtroom. For a short period, I entered Dept. 108 to see if I could possibly hear the beginnings of the Marsden motion. It’s not in my notes, but from memory, I believe Mr. Lindner was late. I step into Dept. 108. Mr. Lindner is recounting one of his many life stories that he likes to tell to DDA Dan Akemon. Private investigator Chris Nicely is sitting in the middle of the gallery, third row. Lindner is now chatting with Judge Ohta. He brings up the name of an attorney who flunked the bar by one question. Judge Ohta asks Lindner if this attorney would like this known [about him]. Judge Ohta asks DDA Akemon when he joined the DA’s office. DDA Akemon tells the court, “1999.” He then talks about members of his family that have entered the law profession. We are waiting on Gargiulo. The case in trial is already set up. Lindner and DDA Akemon chat. The prosecution and defense in the current case are also having a discussion, so there are two conversations going on at once. It doesn’t look like Gargiulo is going to be brought out, so I exit the courtroom to wait on the Brown verdict. Mr. Lindner is her with his son, Abe, his paralegal. We enter Dept. 108. I believe Judge Ohta is at the bench. There is a new court reporter. Judge Ohta informs her that the next case is a capital case, and that it was continued from yesterday. Judge Ohta was previously out of his robe but now has it on. It appears that the current trial, the jury is in deliberations. There is a new bailiff at the bailiffs' desk. My eye naturally floats over to the Red Vines tin at the clerks counter. It’s half full. I never noticed it before, but there is a small, black and white sketch hanging in the ante chamber. It’s court related. As I type today, I have a memory of Mr. Lindner pointing out the sketch to me and told me something about it, possibly that he has a copy. There are two defense attorneys in the well and two more counsel arrive. Now a third attorney, but this one stops, looks in then leaves and then comes back. Mr. Lindner was here on time (8:45) but DDA Akemon is late. DDA Akemon arrives. Gargiulo is brought out two minutes later. He’s wearing his glasses and his standard white, long sleeve under-shirt beneath the orange jumpsuit. There are two sheriff’s in the well. Judge Ohta calls the case. They are on the record. The court asks the parties to state their appearances. I’m then asked to leave as well as other counsel in the well. Out in the hallway, I make a internal bed with myself as to how long this may take. I wonder how long will the court allow this to go on. We are back inside the courtroom. Gargiulo has already been taken back into custody. Judge Ohta tells DDA Akemon that the Marsden is not completed yet. Counsel for other cases being heard file back in. The return date is May 27th. I’m in the cafeteria of the downtown criminal court building. Usually, I wouldn’t be here this early but I’m going to help Mr. Sprocket on a job bid after court so he drove me. He decided to go to the Maurkai Market in downtown Little Tokyo to wait for my call that I’m all done today. I’ve been sick every since the jury came back with a verdict in the Cameron Brown trial and I’m still not 100%. This junk in my lungs and sinuses doesn’t want to leave. There’s an interesting cast of characters in the cafeteria today. It’s one of those places to people watch. Attorneys greet each other, people read books or get breakfast. There is an defense attorney wearing a bright purple tie, that reminds me of the vibrant ties that former DDA Alan Jackson would wear. It’s mostly defense attorneys I see in the cafeteria, but once in a blue moon I do see a deputy district attorney. It’s 8:00 am and I decide to head upstairs to the 9th floor. That’s when the 9th floor security station opens. When I clear security on 9, there is a cameraman with quite a bit of gear getting it all packed up. I ask him if he’s going to Dept. 101. He replies, “Yes.” I direct him down towards the right wing. I head in the opposite direction. There’s a hearing in the Suge Knight case in Judge Coen’s courtroom, as well as a hearing in the Tobias Summers / Daniel Martinez kidnapping case. I don’t know if it’s Summers or Martinez who has the hearing today. I’d love to attend those, but I did promise Mr. Sprocket I thought I would be done by 9:45 am at the latest. One of DDA Akemon’s clerks heads my way and asks if I’d seen him. No, I haven’t. The right wing of the hallway is surprisingly empty, considering the amount of media that shows up for one of Knight’s hearings. A second cameraman shows up and heads down towards Dept. 101. DDA Shannon Presby is in trial in Dept. 108 in the Mary O’Callaghan assault trial. That will probably pick up at 9:30 or 10:00 am. It started last week. I would have loved to jumped back in and covered this case but I’m just not well enough. I shouldn’t even be here today, but I’m trying to stay abreast of every hearing in the Gargiulo case. There’s a bit of media and people now at the end of the hallway but only one other gentleman is sitting down at this end. Several cameramen leave the 9th floor. A pretty female bailiff shows up for Dept. 108 but the door is locked. Dept. 108 is opened and the female deputy goes inside. Here comes DDA Akemon with his female clerk and a second clerk. Inside Dept. 108. Judge Ohta’s regular court reporter is back. DDA Shannon Presby is in the well. He and Judge Ohta chat. Mary O’Callaghan’s defense attorney arrives. He and DDA Presby chat about the next witness DDA Presby will call. Mary O’Callaghan arrives with a female friend a few minutes later. The Red Vine tin calls me. It’s almost empty. For the first time, I notice a bowl of candy on the court reporter’s desk. I could not work at all with a bowl of candy in front of me. Judge Ohta and DDA Presby chat about a photo of the mountains that’s displayed on the overhead projection. In this conversation, I learn that DDA Presby climbed Mt. Whitney. In continuing their discussion about climbing, Judge Ohta states that on a particular climb, he “... went with Judge Lomeli and Rubin.” Altitude sickness is mentioned and then Judge Ohta talks how a bag of compressed trail mix was all blown out when he got to the top. Defense attorney Lindner arrives. Judge Ohta asks for Gargiulo to be brought out. He looks a little paler than usual today. Gargiulo leans in to speak to the bailiff. We go on the record. The court states that Mr. Gargiulo is before the court. Counsel states their appearances. The court continues, “Mr. Gargiulo requested to conduct a Marsden Hearing .... [I] don’t have the date ... [it was] ... about a week ago. ... He logged compaints against Mr. Lindner.” Because of the timing, a transcript was not prepared. The court indicates they cannot conduct the second part of the Marsden hearing. Mr. LIndner didn’t get a transcript until today. There is discussion about what day to return. Tuesday, June 2, is mentioned, where they will continue for the remainder of the prelim. Mr. Gargiulo has complaints to submit. He has complained about the jail and about Mr. Lindner. The court indicates that they can talk about that next time. I believe Gargiulo has a document he’s prepared. It’s a paper trail about the Marsden hearing. Judge Ohta asks that it be shown to Mr. Lindner. “Mr. Lindner will had that back in a few moments.” Gargiulo is then taken back into custody. Lindner looks over the document with Abe at his side. Gargiulo was in the courtroom for less than five minutes. I’m on the 9th floor hallway. Judge Ohta has been in and out of the courtroom, using the little break/copy room at the end of the hall. DDA Akemon and Mr. Lindner chat in the well. Abe and Lindner arrived earlier before I went inside. There’s a new, full tin of Red Vines at the clerks counter. Counsel check in at the clerks desk. DDA Presby returns. Judge Ohta and DDA Presby chat. Judge Ohta likes to chat with counsel off the record. Gargiulo is brought out. He sits in the same spot, the end table seat. The chairs that defendant’s sit in have low backs and no wheels. Counsel get chairs with wheels. Abe sits to Gargiulo’s left and Lindner to Abe’s left. Judge Ohta is at the bench reading. He asks his court clerk for the Gargiulo file. I note that it’s two separate files and about 9 to 10 inches tall. Ohta places the papers he was just reading in one of these files. We go on the record. We are continuing the Marsden hearing. The court states it was started on May 14. A transcript of the proceedings was made and sealed. It was unsealed for review [by the court]. There was an error. It was dated wrong. In any event, will have the court reporter correct the date to reference May 14. The court indicates that Mr. Lindner filed his response. The Marsden hearing was in camera. Gargiulo tells the court, “I’m going to have to respond back and I have no access to case law ... but I have to respond.” Judge Ohta tells Gargiulo that it is up to him what would like to do. It’s up to him to respond. Gargiulo brings up the fact that the next pretrial is June 12. He doesn’t know if the court wants to go back and forth between the Marsden and the pretrial hearings. I believe Gargiulo asks the court what he would suggest. The issue is picking a date to return before the June 12th date. Lindner suggest June 8. 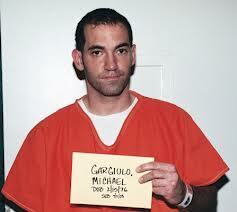 On that date, Gargiulo would be in custody a total of seven years. The court asks Lindner if he’s fixed on that date. Gargiulo asks what day of the week is June 8. He is told it’s a Monday. Gargiulo tells the court that’s a bad day. There’s a lot going on at the jail. Gargiulo asks for Tuesday, June 9. The court sets the date at this Friday, June 5. The court asks DDA Akemon if he has anything to add. “Nothing, your honor,” DDA Akemon replies. He adds that he will not be available but his co counsel, DDA Garrett Dameron will be here. The court informs the prosecution that they are not required to be here. Lindner then addresses the court. He tells Judge Ohta that DDA Akemon, at his request, pulled each and every visit that Gargiulo has received at Men’s Central County Jail. Apparently, there are a handful of written records documenting [Lindner’s?] visits to the jail to see Gargiulo. Gargiulo then addresses the court. He asks, “How will i be able to get a medical order?” If I’m reading my notes correctly, it’s for a dental visit. The court informs Mr. Lindner his client is requesting a medical order. Lindner replies, “I think this is number thirty or forty, but I will prepare it.” The court indicates they will sign it. For the record, Judge Ohta states this is a continuation of the Marsden Hearing [held in camera] but this is not a part of the Marsden hearing at the moment. And that's it. Until June 5. I’m on the 9th floor. There are a few people down at the left wing of the long hallway, and there are a few down at the other end of the hallway, too. It mostly looks like general public and a few attorneys waiting. I don’t see any juror badges. I’m sitting on a bench at the center of the hallway because that was the only spot that had an available outlet for my laptop. Looking down to my right, I see Judge Ohta. He looks my way but I believe his arm up hello is to the Asian gentleman who is passing in front of me at the moment. I’ve seen this man before. I believe he’s a clerk in Judge Charlane Olmedo, Dept. 105. Dept. 104, Judge Perry’s clerk stepped out into the hallway to unlock Dept. 104’s doors. She saw me and said hello. The jury is still deliberating in the Mary O’Callaghan case in Dept. 108. I see the bailiff for Dept. 107 open the courtroom doors and greet counsel waiting to go in. Mary O’Callaghan and her counsel are clearing security. It’s my understanding that several departments from the 17th and 18th floors of the former DA’s office have moved across the street and it’s pretty hectic over there. The DA’s office gave up the 18th floor but are keeping the 17th floor. I know that the Administration offices and Major Crimes moved into the new space. It’s my understanding that DDA Akemon won’t be here today, but that Garrett Dameron will. People Magazine investigative reporter, Chirstine Peliski arrives. She’s wearing a dress and looks nice. I’m a bit envious of her toned legs. Back in the hallway, Judge Marcus comes down. He opens the door to Dept. 108. Then Dept. 107 then Dept. 106. He enters 106. After less than half a minute, he comes back out and heads back down towards his courtroom. The jury is deliberating in the Mary O’Callaghan case and they have submitted some questions to the court. Judge Ohta goes on the record in that case. Jurors asked questions and asked for three things. Regarding the testimony of a witness, they want clarification on factors to determine “reasonableness.” The court tells counsel he has prepared a response. They also want read back of testimony of a wtness. DDA Presby and defense attorney TK Rico disagree on how much of that testimony will answer the jury’s question. DDA Presby first outlines where he feels the reading should start and end, then Mr. Rico argues where he feels this read back should start and end. In conclusion, Judge Ohta agrees with the people, and explains his reasoning behind his ruling. DDA Presby presents one other section of the testimony but the court denies this read back. Another case is heard. A defendant in a blue jumpsuit is brought out. Lindner gets some Red Vines at the clerk’s counter. Lindner and Christine chat. Since this will take a while, the court informs Mr. Lindner to come back in 30 minutes. Mr. Lindner exits the courtroom. In the O’Callaghan case, Judge Ohta takes the bench without his robe. He goes on the record. The court reporter was sent back into the jury room for the read back of testimony. I’m surprised. I thought that always happened in open court. I learn something new every day. The court states they need to establish for the record, and the court report establish for the record, that the jury stopped the court reporter from reading. The testimony the court thought they requested they did not need. I take a break to stretch my legs. During this time or a bit little later [my notes are not clear], we hear “Buzz! Buzz!” from the O’Callaghan jury. I could swear that Gargiulo jumped a bit in his seat. Judge Ohta informs Gargiulo, “That’s not related to this hearing.” Gargiulo laughs and tells the court that he understands that it is not. Sometime later during the morning session, the O’Callaghan jury comes back with a verdict. The Gargiulo Marsden hearing is continued until June 9, the same day there is a hearing in the Lonnie Franklin, Jr., case. I was on the 9th floor pretty early today, but Mr. Lindner didn’t arrive. By 9:00 AM, I saw DDA Beth Silverman clear security and head down to Dept. 109 at the other end of the hallway. I get up from my seat and head down to Judge Kennedy’s courtroom. Once the Franklin hearing was over, I went back to right outside Dept. 108, to wait for Mr. Lindner and his paralegal, Abe. When I enter Dept. 108, there is another hearing in progress with three defendants. The DDA Is Joshua Ritter. DDA Ritter was a clerk in Major Crimes during the Phil Spector trial. After his clerking period was over, he applied for one of the few DA positions and he was hired. Since then, I hear he’s done some great work. Judge Ohta is reviewing what happened at the last hearing. I believe one of the defendant’s, possibly two, rejected plea deals. The court let [2?] defendants speak on the court phone last week, to speak to loved ones. The court verifies that is what happened. One defendant tells the court he doesn’t remember if he spoke on the phone or not. Judge Ohta goes on about the defendant not acknowledging that the court allowed him to call his mother, and the defendant wouldn’t acknowledge it. Judge Ohta is quite patient with the defendant and doesn’t even raise his voice at all. His attorney pleads to the court that his client invokes his right to remain silent. Judge Ohta then addresses the defense attorney about what happened. The defendant refused the prosecution’s offer and there was no counter offer. Judge Ohta addresses the defendant. “Mr. [X], do you understand the offer?” Yes, your honor.” The prosecution rejected the previous counter offer. The defense attorney informs the court [the offer?] was up to 12 years. I believe the defense attorney tells the court that his client is not done; not where he’s at now, and not what he’s saying to him. Mr. Lindner arrives and approaches the well. He apologizes to the court for being late. Judge Ohta tells Lindner to return in a half hour. Lindner goes over to the clerk’s counter to get some Red Vines. There’s more with this case. The defendant now wants to waive his right to an attorney and have a Faretta hearing. He wants to represent himself. Judge Ohta states for the record that the defendant has not graduated high school. Judge Ohta then explains to the defendant, the intricacies of [?possibly] the defendant’s state of mind. The defendant previously wanted to hire a lawyer in the past. So now he wants to represent himself. The defendant is brought back into the custody area. Judge Ohta lets out a heavy sigh at the bench. Next up, Judge Ohta chats with counsel off the record in a fraud case. Both sides are explaining their positions. There’s quite a bit of discussion on the losses the bank incurred, the court’s incurred and the losses of the county recorder. It’s not a matter of just homeowner’s who lost. The people are countering the defense position as to how the loss is calculated. The court reminds the parties that he is not involved yet. Two female defendants have come to the prosecution’s position. It appears these two defendants will take pleas on the 26th. They go on the record and counsel state their appearances for the record. The older female defendant is out on bond. The younger female defendant is in custody, and has the same last name as the older woman. The male defendant’s last name is not the same. Judge Ohta states for the record that counsel discussed the case off the record. The female defendant’s have reach a decision [plea agreement] with the people. These defendant’s agree with the prosecution’s calculation of the loss incurred. The younger female defendant will be sentenced to 11 years. The older female defendant 18 months with her time served going towards that and also she gets into a drug rehab program. So a split sentence. The male defendant at this point, is going to trial alone. Mr. Lindner compliments the court on his demeanor during the first of the two previous hearings. Judge Ohta replies, something to the effect of, that he can feel his own emotion here. The court and Lindner chat about the age of the defendants and when they would get out. The defense attorney for the male defendant in the fraud case and Mr. Lindner exchange business cards. It appears this defense attorney represented Gargiulo before the death penalty was brought into play. Judge Ohta is still on the bench. He closes his eyes for a moment and leans back in his his high-back leather chair. Gargiulo is brought out of custody and I leave the courtroom. I want in the hallway until noon when I have to leave for a dental appointment. I’ll have to wait until June 12, to find out what happened in the Marsden hearing. Coverage of the June 12 hearing coming soon. At that hearing, Gargiulo makes an interesting announcement to the court. UPDATE 7:15 PM edited for grammar, spelling, clarity. When I arrive at the state building where the local appellate court is held, I stop at the security station to see if it’s possible to photograph the catwalks inside the atrium space. I've tried to describe this space before, but there's nothing like a photo to give readers a sense of what one is talking about. The building’s security manager is kind but says that because of “security” I cannot take photographs. I thank him for his time then head to the second floor cafeteria to get a bottle of water. The courtroom is one floor up. I talked about the Ronald Regan State Office Building back in April 2001, when I was here for the oral arguments in the Phil Spector appeal. The center of the entire building is an atrium space for the first four floors. There are open catwalk bridges that crisscross back and forth for the second and third floors. On the ground floor are trees, huge murals and animal statues. As I exit the cafeteria, I look up and there are Jayne and Michael Goldberg right outside the courtroom on a catwalk, one floor up. Jayne is giving me a big wave. I can see her smile. Jayne comes down one floor to greet me and we take the stairs back up together. We both marvel at how beautiful the space is. To me, the atrium space is very serene and peaceful this early in the morning. The Rasmussen family arrive. Nels, Loretta, and their two daughters Connie and Teresa, are with them. Hugs are exchanged all around. Jayne tells everyone that her daughter Mollie is graduating from college in a few days with a degree in Film & Digital Media, with an emphasis on production. Her senior film is titled The Fifth Stage, and cover the topic of grief and the myth of closure. It will be screened Friday and will be up on VIMEO soon. Once it’s on the web, T&T will link to it. We’re inside the courtroom. There’s seating along the back wall facing the judges. There is also seating along the two side walls, but those are roped off at the moment. As the back area fills, the court staff open up additional seating areas. Directly to my right are a group of five interns. An older woman arrives and asks me to move my bag so she can sit beside her interns. The appeals court does not utilize court reporters. The proceedings are tape recorded. Attorneys start to arrive. A few moments later I see Lazarus’ mother Carol, her sister Judi arrive. With them is a blond woman who I saw attend the trial. A tall, sleek looking man with a long gray ponytail gets up from the well area and goes over to speak to Judi. This is Donald Tickle, Lazarus’ state appointed appellate attorney. Sometime in early 2014 Lazarus moved from the Central Valley Women’s Facility in Chowchilla, California, to the California Institution for Women, in Corona, CA. This location is much closer to her family members in Los Angeles. Many people have asked me about Lazarus’ marriage. Lazarus’ husband filed for divorce Feb 13, 2013. The divorce is not finalized yet. A large group of young people arrive. With them is a familiar female DDA face I’ve seen around the criminal court building. This group is directed to sit in the seats on the right side of the well of the court. Matthew McGough arrives. His hair is quite short. He must have gotten it cut since I last saw him. Court staff continue to direct late arrivals to the remaining seats. It’s a mix of older suited men and young intern-looking men and women. Now, almost every seat in the gallery is taken. I note the carpeting and seats. It’s a medium green with hints of teal. More people continue to arrive. Detective Greg Stearns, and DDA Paul Nunez arrive. Stearns, along with his partner Dan Jaramillo, interviewed then arrested Lazarus; DDA Nunez co-prosecuted the case along with DDA Shannon Presby. I count only 3 or 4 empty seats left in the entire gallery. The large bench has seats for four justices. The lower part of the bench is a matching tile/marble to the carpeting and seats with the top of the bench a polished dark wood. The wall behind the justices is the same color of stone. There is a dropped ceiling over the three gallery seating areas. Subdued light comes in through high mission style windows. This is not the same panel that heard the appeal of Nels & Loretta Rasmussen in their suit to sue the LAPD over the investigation into their daughter's death. The panel will call the shorter time cases first. The panel calls People v. Lazarus. I’m relieved. We won’t have to wait here through several other cases. Appellant attorney is Donald Tickle. The respondent for the state is Deputy Attorney General IV, Michael A. Katz. Tickle starts off arguing the pre-accusation delay and which standard the defense argues should apply. The trial court ruled the federal standard should apply. Tickle tells the panel the trial court said [California] Prop 8 didn’t have the independent force and effect. Tickle argues that even negligent delay is sufficient. The state, didn’t do any testing for 23 years after the crime. Funds were not allocated for a cold hit data base. Tickle cites Nelson to support his argument. One justice asks, "Frankly Mr. Tickle, .... was any legitimate [explanation] ever offered at trial for the defendant’s DNA found on the victim at or near the time of death?" Tickle replies that the burden is not on the defense to show identity. I believe the trial court answers that they balance the [?] for delay against the evidence. “What is the prejudice?” Tickle argues that the only evidence that there was a bite mark was on the envelope. The dentist could not say definitively it was a bite mark. Tickle then goes on to argue that the defense position is, that it’s an error to match random match equivalency. The result is the jury will under estimate the possibility of another person. I believe a justice asks, how does that get to the delay that causes prejudice. How does the delay, ... verses what the evidence proves? Tickle and the justices go back and forth as to whether or not Lazarus could have had an accomplice Tickle argues that random match probability is not equivalent to no other person. The justices come back that what Tickle is arguing is purely speculation. Tickle states the defense is not arguing insufficient evidence. It’s whether there is a reasonable possibility that the jury [could have seen the evidence a different way?]. The court responds: It seems to me inescapable that your client was present at or near the time of the murder. It seems irrelevant that there was DNA on a stereo wire or elsewhere. ... There were no chain of custody issues claimed at trial. Tickle states he is not claiming [chain of custody?] .. The justices state, “It's not as if your client is claiming she showed up there, they had a fight, she bit her there and someone else killed her." Tickle still argues that the expert could not say it was a bite mark. “The court is accepting the prosecution’s fallacy. ... That goes to the weight of how you weight the evidence.” Tickle cites [Brown v. McDaniel? ], a US Superior Court decision. I believe the court responds that, [the case cited], that goes to the DNA did not belong to the defendant. Tickle argues there is reason to believe there were male burglars in the neighborhood at the time of the incident. He also agues that no witness said that Lazarus remained obsessed with the victim’s husband after their last meeting. Tickle responds, “Could find reasonable doubt of the prosecution’s theory. ... Is there reason to believe there’s reasonable doubt? ... The 3rd party culpability evidence was not admitted. Tickle brings up the testimony of former FBI profiler Mark Safarik. Tickle argues with the court that regarding the bite mark, no witness testified that wound was inflicted at the time of death. Tickle’s time is up and Mr. Katz gets up to argue the respondent position. Katz starts off by offering to counter Mr. Tickle’s last argument about the bite mark. "Page three of the respondent’s brief. ... The coroner identified the pattern injury was consistent with a bite mark. ... The coroner looked under the wound and saw hemorrhage but no inflammation." She testified the wound occurred on or about the time of death. Katz brings up the DNA under the fingernails. He mentions [Bradley? Brown? v. McDaniel] and then moves onto the merits of pretrial delay and that the federal rules apply. He argues the federal standard regarding the delay. I’m totally lost because up until this point, I’ve only had a copy of the appellant’s brief. I’ve not seen the respondent’s reply brief yet. I become further lost in the legal complexities as the justices and Katz cite prior case law rulings. Katz is finished. The justices tell Tickle that even though he went over on his allotted time, they will allow him five minutes for rebuttal. Tickle goes back to arguing the pre-accusation delay again. He also mentions that there is equally substantive evidence of DNA of others that engaged in a violent struggle. He backs of off the bit mark. Tickle is back to the burglary theory. And that’s it. Arguments are over. We get up and make our way outside. I believe Mr. Katz greeted Nels and Loretta after the oral arguments. Outside the courtroom on the third floor catwalk, DDA Nunez and Detective Stearns speak to the Rasmussen family, Jayne and Michael Goldberg, Matthew and myself. DDA Nunez tells the family that he did not hear anything that would cause him any alarm. It appeared to me that the justices were leaning towards agreeing with the trial court decision. Nunez tells Nels and Loretta that DDA Shannon Presby would have been here, however, he just finished a trial and obtained a conviction of an LAPD officer [Mary O'Callaghan], and he was taking a few days off. Someone said that was good news. There is a short discussion of Presby's case. Detective Stearns responded, something to the effect of, the officer went a little bit overboard. This LA Times story gives the relevant details of what happened to Alesia Thomas. We then talked about how long it will take for the justices to publish their opinion. It could be as quickly as a few weeks or it could take closer to 90 days. If Lazarus’ appeal is denied, she could appeal to the California Supreme Court. However, that appeal isn’t paid for by the state. She would have to pay for that appeal herself. The other issue is, even if the appeal is submitted to the California Supreme Court, they are not obligated to review it. The California Supreme Court rejects cases all the time. I've been told that they don't review cases where the facts are similar to other cases they've already reviewed. Additionally, I've been told that appeals at that level can be political. After the California Superior Court, Stephanie’s last recourse is a federal habeas corpus appeal. Those take a very long time; many years. The next discussion was parole. Because the crime occurred in 1986, Lazarus serves her time under the sentencing laws in effect at that time. This means she gets good time credits for every day she served in county as well as in prison. Convicted murderers under today's sentencing guidelines must serve 85% of their sentence. I remember right before the verdict, sources indicated to me that Lazarus' first opportunity at parole would be around 15 or 16 years after sentencing. The next item discussed is what would happen when she is before the parole board. It would be a very rare thing indeed if Lazarus is granted parole the first time before the board. It's pretty much a given that won't happen. It's my personal opinion that she would probably have to serve at least the 27 years before the parole board would consider her for parole. It's possible she would need to admit to the crime, however, that's not necessarily the case. There are instances of parole being granted without assuming responsibility. At this point, she is still pursuing an appeal. If she pursues an appeal to the California Supreme Court and then onto Federal Court, that might not be looked upon favorably by the parole board. After all the questions are answered, everyone says their goodbyes and makes their way to the elevators. Looking over the catwalk as I start to head home, I see Lazarus’ family speaking to Mr. Tickle in the cafeteria. I hope to have an audio file and transcript of the oral arguments uploaded soon. UPDATE edited for clarity, accuracy; last victim was not a cold case. I want to thank everyone who voted in the poll to help decide on T&T's next case. Since the Cameron Brown verdict, I honestly did not think that I would be able to cover another trial this year. My number one case now is Michael Gargiulo. Although no trial date is set, [and I don't have any information on or off the record] my best guess is that the case will go to trial in early 2016. Marion Suge Knight - Preliminary hearing occurred in April. Case is assigned to Dept. 101, Judge Cohen. Trial is at minimum, a year or two away from trial. Next pretrial is July 7. Joshua Woodward - I attended the prelim. Case is assigned to Dept. 103, Judge Rappe. Sources tells me this case has been moved to 2016. Woodward is out on 4M bond. Lyvette Crespo - Grand Jury indictment in April. Case is assigned to Dept. 109, Judge Kennedy. Trial is year or two away. Crespo is out on bond. Robert Durst - California needs to get Durst in California before a case can proceed. It's my best guess that the federal government will try Durst first, since they (most likely) have a slam dunk case. Once that trial is completed, I expect the government will have no problem handing Durst over to California. However, there is something else to consider. Sources tell me Durst does not look well at all. I recently learned that Lonnie Franklin, Jr., is set for trial September 9, 2015. The case is being heard in Dept. 109, Judge Kathleen Kennedy's court. Judge Kennedy presided over the James Fayed and Kelly Soo Park trials. The timing of the trial works perfectly concerning my commitments to Mr. Sprocket's business this summer. I've been told that the Franklin case will take less than two months but I don't know if that also includes jury selection. I have not attended a Franklin hearing for almost two years. Franklin is charged with ten murders and one attempted murder. The DA's office is seeking the death penalty. Franklin was arrested July 7, 2010. He has been in custody almost five years. All the murders (except the last murder) are cold-case murders occurring between 1985-1988 and 2002-2007, and close to the 'Figueroa Corridor' of South Los Angeles. I am coming into this case pretty blind in regards to the pretrial motions, the names of potential witnesses and what evidence will be presented. Although I will try my best to obtain what documents I can, my budget to purchase documents is very limited. This will be the most challenging case I've covered because of the number of victims. 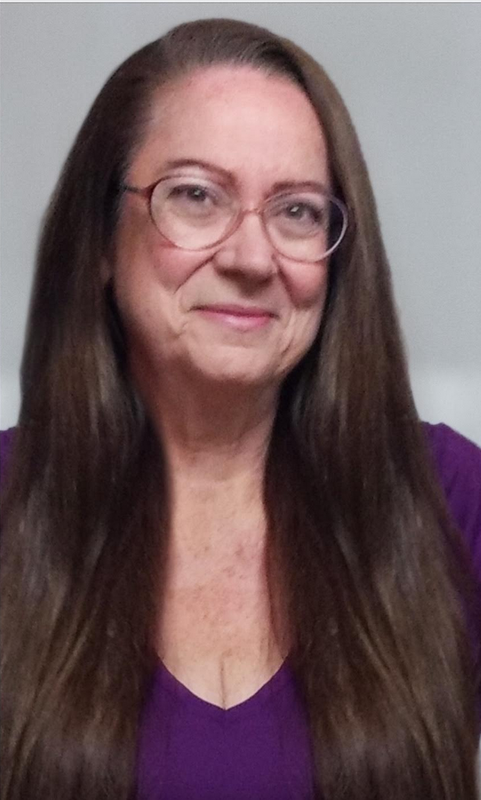 Seasoned investigative reporter Christine Pelisek, first wrote about the case in August 2008, for the LA Weekly and named the unknown killer at the time, "The Grim Sleeper." Pelisek won three LA Press Club awards in 2009 for her reporting at the LA Weekly. She went onto write about Franklin for The Daily Beast and currently for People Magazine. A Lifetime movie, The Grim Sleeper, was released in 2014 about Pelisek and her investigation of the crimes. From what I've observed in pretrial hearings, it appears Pelisek has become very close with the victim's families. 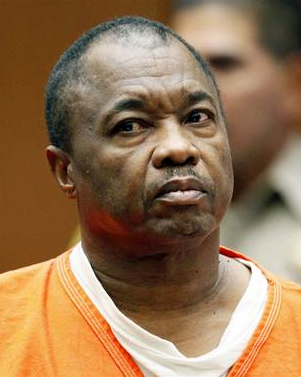 An HBO documentary, Tales of the Grim Sleeper directed by Nick Broomfield, was released in 2014. Mr. Sprocket drove me down to court today. I’m on the 9th floor. Although I'm here for the Franklin hearing, there is also a continuation of the Gargiulo Marsden hearing. Gargiulo defense investigator Chris Nicely is here but he’s meeting with a different defense attorney. He's here for a different case. When he does see me, he gives me a wave. There are about a dozen counsel in various parts of the hallway and about a handful of the general public. It’s very quiet. Judge Ohta’s pretty court reporter arrives and enters Dept. 109. Other courtrooms start to open on the hallway. I see Judge Ohta come out from that small utility room at the end of the hallway and greet several counsel who are in the hall before he enters his courtroom. Dept. 107’s clerk comes out and opens the courtroom's doors. Since Mr. Lindner and his paralegal have not shown up for Gargiulo, a few minutes before 9:00 am, I head down the hallway towards Dept. 109 to cover Franklin. I'm inside Dept. 109. I take a seat in the last bench row and open my laptop. Franklin is at the defense table. Christine Pelisek arrives and greest one of the people in the gallery. Bailiff to me: "Mam, are you a member of the press?" I nod yes. Judge Kennedy calls the case, People v. Franklin and asks the parties to state their appearances. For the defense: Seymour Amster. There is a new attorney, Ms. (? Gonzales?) at the defense table, siting between Amster and Louisa Pensanti. She may have been on the case for some time. I don't know. For the people, DDA Marguerite Rizzo and DDA Beth Silverman. Beth is wearing a subdued blue suit. I almost don't recognize Marguerite. She has her hair up off her neck in a claw-type hair clip. Judge Kennedy asks the defense "What are these orders?" [It appears this has something to do with a prior issue before the court.] Amster tells the court, "I made a mistake. ... I felt the court had ordered something different. I didn't look at the transcript this ... I [read?] that the way she stated the order. ... I'm withdrawing my proposal." There's something about utilizing the language [?] as it relates to [victim] Janecia Peters. The court asks for the next issue. DDA Rizzo states that the firearm order was submitted and signed. DNA orders on Alice Alexander and [?] have been submitted as well. All three orders are signed. The court states if both sides are in agreement ... she'll sign the orders. The court addresses the defense, "So there's nothing that can be turned over to you as to the evidence itself." Amster replies, what I'm hearing is that everything has been turned over to it, and we're going to look into it. DDA Rizzo continues. The people are following up on some of the files the defense is requesting, [re?] [George May Thomas?]. The people will get that to the defense in a day or two. There is another issue, related to the defense response to a discovery request. They are still waiting for [?] and that is fine. DDA Rizzo states the request [follow up?] from Dr. [Lawrence] Sowers is not acceptable. [It appears Dr. Sowers is the defense's DNA expert.] DDA Rizzo tells the court that "He just leads us to a page in his report that he previously provided, which is just a wheel table and [also a link?] to scientific literature. ... What we want are Dr. Sower's raw notes." DDA Rizzo goes onto explain to the court that these notes would be similar to analyze the case files of the LAPD or CellMark analysis case files that would be turned over to the defense. Every step of the [DNA] analysis is documented by the analyst as well as statistical analysis. ... He has the case file and we want his raw notes and all the documentation that he used and relied on and generated for production of his reports. Amster tells the court that he didn't interpret the request for his [Dr. Sower's] raw notes; he just sent on the email. Amster states that if there is going to be a dispute, before the court can order, there must be a formal motion. Amster's position is, he will communicate with his expert that the prosecution wants his raw notes. The court asks how long is it going to take for you to let the prosecution know you are either going to comply [or] .... ? I miss the the answer. The court then asks if the parties have anything else to present. DDA Rizzo and Amster don't have anything more for today. Judge Kennedy then asks the parties about jury selection and about how many jurors should be called. She asks the parties for input. I believe it's the court who states, that in the past in a single [victim?] defendant death penalty case, she has called 150 to 175 prescreened jurors. The court doesn't know where in light of the publicity, that is attendant to this case. We may [have to excuse?] some people just on pretrial publicity. So the court is asking for input of those here, if you have any [?]. The court then addresses DDA Silverman. "You've had experience Ms. Silverman with high profile [cases]." DDA Silverman states that on the Southside Slayer, Judge Rappe, we had six panels ... of how many they could give us ... sixty [each panel?]. We didn't use the last panel. Judge Kennedy asks, "H called in 300 something?" DDA Silverman responds, "He did and we didn't use the last group .... I know that they were pre-screened." The court asks, "What was the time estimate on that case?" DDA Silverman adds, "I know it was close to three months. ... It was similar to this case ..."
DDA Silverman states the case in Judge Bower's court only used more than a couple hundred jurors. The court states that maybe they only need about 250. The court or DDA Silverman states: I obviously don't want to waste people. I believe the court adds that pre-screening cuts down because the time issue. There is some discussion about the publicity of this case and other cases and how that will affect voir dire. I believe it is the court that adds "But all cases on the 9th floor get publicity." I believe DDA Silverman adds, "Of all the serial killer [cases] I've done we've lost a lot of people for that reason." Judge Kennedy adds that there is an HBO documentary which she has not seen. The documentary may or may not have been seen by the jury pool. The 250 number of potential jurors is mentioned again by the court. DDA Silverman thinks that may be more than enough. The parties then ask how many days the court will allow between receiving the jurors questionnaires and voir dire. The court states four or five days after the last set of jurors. Mr. Amster informs the court that two movies have gone out and they don't know what impact they may have. The court would like to finalize the jury questionnaire next week. Now there is a discussion about what day to return. After some back and forth, June 30 is the date for return. There is a stipulation that the prosecution needs to sign. The court asks the prosecution for a clean copy of the proposed jury questionnaire. The court made notes on the one copy they were given. Mr. Amster tells the court they submitted a confidential request. The court needs to [open the document, review it so the defense can then make a copy of it]. And that's it. They are finished for today. Return on June 30. Judge Kennedy leaves the bench. DDA Silverman goes over and signs the stipulation at the clerk's desk. Franklin is taken back into custody. Outside in the hallway, DDA Silverman and DDA Rizzo speak to several family members about what happened today. Two of the women in the group are using walking canes. DDA Silverman answers every question they have for her. I am impressed by how DDA Silverman calmly and patiently speaks with the the families. She gently tries to prepare them for the evidence that will difficult for them to hear. There was no preliminary hearing in this case; the DA's office obtained their indictment of Franklin through a grand jury, which means the family members have not heard the specific details of their loved one's deaths. She tells them that she won't be holding back in presenting this evidence. It won't be easy for them. DDA Silverman also explains that once this trial is over, they will still be left with their emotional loss. This trial will not change that. DDA Silverman tells them it is very important for them collect documents and get them to her regarding their loved ones. Birth certificates, photos, etc. I believe this is for the penalty phase of the trial and for the victim impact statements. She stresses how important this is. Once all the questions are asked, DDA Silverman makes sure everyone has her new phone number, and to call her if they have questions. [The DA's Major Crimes Division just moved across the street into new offices in the renovated Hall of Justice building.] DDA Silverman gives a few hugs before everyone says goodbye. After the hearing, I head back down to the left wing of the hallway to wait for the Gargiulo Marsden hearing. The Gargiulo Marsden hearing has taken several days already. I'll have a report on what little I was able to observe in the next few days. I forgot to mention that the people's investigator, LAPD Detective Daryn Dupree, was at the prosecution table with DDA Silverman and DDA Rizzo. The next report on this case can be found HERE. While I was waiting in the 9th floor hallway for a Marsden hearing in the Michael Gargiulo case to be over, a bailiff came out of Dept. 108 and asked people in the hallway where the counsel went to in the Mary O'Callaghan case. The bailiff then indicated that a verdict had been reached. Someone in the hallway informed the bailiff that counsel left a few minutes ago. DDA Shannon Presby prosecuted Mary O'Callaghan. Coincidentally, today is the sixth year anniversary of the interrogation/arrest of Stephanie Lazarus, that DDA Presby, along with DDA Paul Nunez also prosecuted. I went inside the courtroom once the defense and DDA Presby had made it back to the 9th floor. Counsel went into chambers with Judge Ohta. I overhear that the verdict would be read at 2 PM. I decide to stay and go over to the Federal Courthouse to grab a lunch. There's quite a bit of press here in the hallway. I see Marisa Gerber from the LA Times. She gives me a little wave. Eric Leonard from KFI is here, along with local ABC reporter Carlos Granda. There's a long time camera operator that I recognize but I don't remember his name. There's a young photographer with an LA Times lanyard around his neck. I don't know at this time if I will be able to report live from the courtroom or not. More bailiffs arrive and enter Dept. 108. I'll write up detailed notes later. I'll save this window open to report the verdict. Before Grand Park was built behind it. Now that the Cameron Brown 3rd trial is over I have an idea for the next case I might cover but I'd like to hear from T&T readers. Granted, Brown still needs to be sentenced but once that takes place the only case I'm currently following is Michael Gargiulo. I don't foresee Gargiulo going to trial this year, but I could be surprised. Right now the case is juggling a Marsden hearing that Gargiulo raised. Once that's completed I'll write about it. On the calendar track for the trial, the next court date is June 12. I believe the people are scheduled to respond to the defense 995 motion. I have some personal commitments to Mr. Sprocket's business over the next two months but after that I should be free to cover a trial or a preliminary hearing. There are quite a few interesting cases out there that I've listed in the poll. The ideal case is downtown, since I can take the train. However, I can cover a case at the Van Nuys courthouse, the San Fernando Courthouse or the Airport Courthouse. Those are all relatively convenient for me, with so-so travel issues. Please understand that T&T doesn't have a budget or sponsor, other than reader donations. 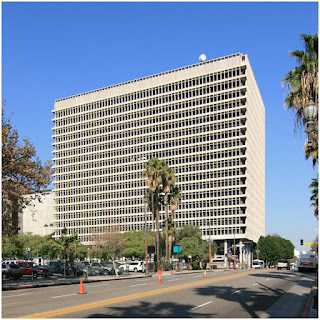 Consequently, I can't travel out of state or to another California county to attend a trial. T&T's Next Case - Vote for the cases you'd like to see covered.